Like pretty much everything these days, money equates to power in the big business world of both geopolitics and monopolized corporate control designed to eliminate individual liberties and personal choice around the globe. We’ve seen it with the treasonous US crime cabal government that engineered the murder of 3000 Americans on 9/11 to establish a fake war on terror with fake enemies acting as mercenary Islamic stooges that conveniently facilitated the dismantling of the US Constitution. As all three branches of the federal government destroyed the US democratic republic, on a more micro-scaled level we’ve also seen how all the various federal regulatory agencies ostensibly set up to protect public health have in fact betrayed Americans by selling out to special interests of big business and corporate lobbyists. The Environmental Protection Agency, the Food and Drug Administration, the Federal Communications Commission and even the Center for Diseases Control are all but corporate whores completely taken over by a rotating door of Fortune 500 CEO’s, think tank provocateurs, political action committees and corporate lobbyists none of which serve the public. A new spending bill in the oligarch owned Congress will spell the death of net neutrality. The oligarch controlled FCC is now in the process of destroying net neutrality, censoring the internet, controlling website access, making it increasingly unaffordable and in particular is bent on destroying the independent news media. Because the elite know more and more of the world’s population are turning to the internet for its main source of information and news in overt rejection of MSM lies and disinformation, through its FCC gatekeeper the plan to eliminate independent news media as well as individual critical thinking have been well underway for some time now. As part of this sinister process, search engines like the giant Google no longer lists websites by order of heaviest traffic but by the Big Brother filter deciding which sites are “more accurate.” What they fail to mention is by whose standards, the lying government that Google and Facebook have sold out to or those brave souls determined to tell the truth no matter what. The globalist design is to ensure that only the six oligarch owned mainstream media outlets disseminate all news and information to the world, effectively creating a monopoly over the flow of all information from the current 90+% level to the absolute 100%. Near a decade ago insightful longtime critic of the United States government Michael Parenti in his plain truth primerDemocracy for the Few exposed how the watchdog agencies cited above merely protect the very industries they’re supposed to monitor and regulate. The result is the EPA looks the other way when air becomes dirtier, groundwater more polluted and oceans and soil more saturated with toxic contaminants. The FDA gives its rubberstamped approval permitting untested drugs and unsafe foods to be sold to consumers. The CDC and Big Pharma controlled medical establishment squelch known cures for cancer and other terminal illnesses. The Pentagon, Defense Department and Homeland Security are all supposed to keep us safe when in fact in the name of national security every year they make the world far more dangerous and insecure, destroying nation after nation turning them into failed states while exterminating millions of innocent people in our name. Militarized US police are supposed to protect and serve when in fact they are 58 times more apt to murder us than any terrorists. And so on and on it goes, living in the twenty-first century we are learning that the alarmingly grim truth is virtually all our public servants are turning out to be our killers instead of protectors. Similarly, since its 1921 inception members of the Council on Foreign Relations - little more than a covert front for the elites and the criminal central banking cabal – have infiltrated and embedded themselves as permanent fixtures in all three branches of the federal government to ensure that US foreign policy over this last century propagates unending wars around the globe exclusively for military industrial complex profiteering. The elite have been diligently working and plotting for more than a century to usher in their one world government. Thanks to the likes of such Skull & Bones lifers as treasonous Bush senior (also a CFR member) and his derelict son George W, New World Order tyranny is already here. From the summer of 1990 to March 1991 alone, then President George H W Bush made no less than 42 repeated references to the globalists’ design for a “New World Order.”Over numerous decades through both democratic and republican administrations alike, such iconic influential presidential cabinet member-advisors and NWO architect-propagandists as Henry Kissinger and Zbigniew Brzezinskihave incessantly mouthed that same three word globalist vision countless times as their broken record mantra to condition Americans for what we are now up against. A morally and financially bankrupt, thoroughly broken fiat slavery debt system masquerading as capitalists’ free enterprise is now ready to implode just as another world war is about ready to explode. The co-timing of these two intertwined events is definitely by no accident. Both have been long planned and designed to bring about the New World Order that’s tragically taken form right before our eyes. 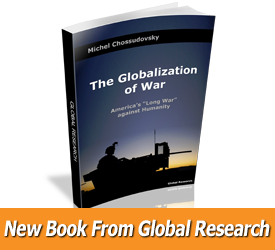 In the throes of a major global power shift from West to East, oligarchs from China and Russia are supplanting oligarchs from America and its Western allies to make the Sino-Russo partnership the world’s number one economic power engine in the years to come. The US dollar and petrodollar as international currency are being replaced by BRICS and other financial alliances led by China and Russia backed by an international return to the gold standard. One can easily see how today’s globalized macro picture reflects the micro picture and vice versa. The globalists’ monopoly and control endgame is absolute throughout every aspect of people’s lives. The so called free trade agreements like oligarchy itself are all about crushing competition in order to guarantee absolute NWO control. And with that as the bigger backdrop frame of reference, this presentation will now focus on how through an illustrative example of the US Food and Drug Administration is currently targeting as its latest conquest an agenda to systematically demolish homeopathic medicine. Paralleling the FDA’s ongoing plan to kill off all competition from the health food industry be it vitamin-herbal dietary supplements, raw dairy products to small organic farming, the latest federal assault to kill off alternative medicine has in its crosshairs the bulls eye target of homeopathic medicine. When the feds began realizing that Americans have a rapidly growing distrust toward both US leaders and the six mainstream propaganda outlets, Big Pharma and conventional medicine also grew threatened by America’s interrelated shift as health consumers increasingly began embracing alternative healing methods that homeopathy and naturopathy represent. Thus since the international drug corporations own and control both conventional medicine as well as the FDA in the United States, they are now siccing their FDA SWAT team big guns on individual practitioners of natural remedies and cures so that Americans no longer have any health care choices left. Absolute control equates to no freedom of choice at all. In the last three months the FDA has been on its latest crusade warning Americans about potential harmful side effects from natural healing substances that have been around for centuries. The sheer hypocrisy of libelously smearing homeopathy as a serious public health threat in the face of the far more pervasive death and destruction directly caused by Big Pharma’s drugs with FDA’s bribed blessings amounts to criminal flagrance. According to a November 2014 article published by the American Sociological Association written by a Harvard research fellow, prescription drugs are tied with strokes as the fourth leading cause of death in America. They kill about 330,000 patients a year in the US and Europe. Big Pharma drugs are additionally responsible for an incredible 6.6 million hospitalizations along with 80 million “medically minor” problems. And with such a horrendous track record, Big Pharma’s regulatory gatekeeper the FDA is now insisting that homeopathic medicines are dangerous! We’ve had tremendous growth in the [homeopathic] market and also some emerging safety and quality concerns. In light of that, we thought it was time to take another look. Using pure scare tactics, the FDA is falsely warning both consumers and doctors that homeopathic medicines are detrimentally dangerous to your health. An example coming straight off the March FDA website: “FDA is warning consumers not to rely on asthma products labeled as homeopathic that are sold over-the-counter (OTC).” Of course what are they recommending? You guessed it – FDA approved Big Pharma drugs. Yet using Big Pharma products often prescribed for asthma treatment such as the inhalers Advair, Serevent and Foradil were found by Cornell and Stanford researchers several years ago to increase the risk of death by three and a half times and hospitalization by two and a half times more than those in studies taking placebo drugs. Their results show that Big Pharma inhalers actually cause up to 80% of asthma-related deaths. Three weeks after it fired its telling first shot across the bow warning against homeopathic products for treating asthma, the FDA rushed to hold a two-day hearing on April 20-21 to provide an ever so brief window of a public forum presenting both the pros and cons of homeopathic medicine. Proponents from both sides submitted their supporting evidence either touting its efficacy or its alleged dangers. Then the FDA announced that only until June 22nd will it accept posts from members of the public to voice their views, issues and concerns on its federal website prior to the FDA’s plan deciding on further regulatory action to soon be implemented that could in effect eradicate the growing multimillion dollar homeopathic industry. Vox Media this year maintains that Americans are spending $3 billion on homeopathy alone. That kind of money speaks volumes in explaining why this sudden whirlwind of recent events is unfolding at breakneck speed after forty straight years of unchanged FDA policy toward homeopathy. As more Americans fed up over their soaring health care costs have sought relief from symptoms and maladies through alternative health treatments, at the behest of Big Pharma the FDA has abruptly launched an offensive stepping up its war against homeopathy. Whereas from 2002 to 2008 the FDA sent out only nine warning letters to makers of homeopathic medicines, just since 2009 that number has skyrocketed to 40. For years the medical establishment’s agenda has been to produce research demonstrating that homeopathy is no more effective than placebos. Yet there also exists a growing body of empirical support in recent years that strongly shows homeopathic remedies and cures to be increasingly valid and evidence-based. Just as acupressure was so long debunked by Western medicine but now is accepted even by conventional medical practitioners, the same process is being replicated with homeopathic medicine, much to the chagrin of Big Pharma and its FDA appendage. OTC asthma products labeled as homeopathic are widely distributed through retail stores and via the internet. Many of these products are promoted as “natural,” “safe and effective,” and include indications that range from treatment for acute asthma symptoms, to temporary relief of minor asthma symptoms. The FDA encourages health care professionals and consumers to report any adverse reactions related to OTC asthma care products labeled as homeopathic to the agency’s MedWatch Safety Information and Adverse Event Reporting Program. The FDA then eagerly offers downloaded forms and phone numbers to police this “out of control harmful” industry. If only the Food and Drug Administration was as diligently gung ho about reporting the lethal effects of prescription medications, perhaps those 330,000 people who’ve been dying every year for decades wouldn’t actually be dead right now. The same old phony fed lies propagated to keep us “safe and secure” are wearing ever so thin to more Americans who are beginning to see the light, that those designated to protect us are in fact psychopathically keeping us in the dark while actually killing us. Be it through their soft kill or hard kill methods, the powers-that-be both in our government as well as their puppet masters controlling them are out to kill 13 out of 14 of us living and breathing on this planet right now. According to their eugenics final solution plan, within the next several years they want over 6.5 billion of us humans dead. 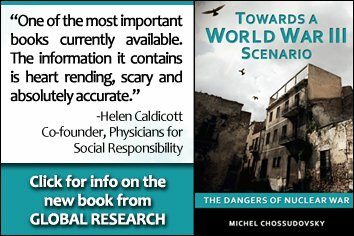 If you don’t believe it, just ask CIA-linked Deagel (within 10 years) and America 2050, both brazenly predicting a drastic reduction in the US population from the current 319 million to just 65 million. That’s nearly 4 out of 5 of us Americans disappearing in the next few years. Before one more relatively inexpensive and valuable resource that’s been practiced for over two centuries is suddenly snatched away from us, it’s imperative that we Americans demand continued access to various alternative healthcare practices and freedom over how we choose to treat, improve, and otherwise maintain our bodies’ optimal health. We have but only a few days left until June 22nd to make our demands publicly known prior to yet another oppressive federal agency bent on usurping and eliminating yet more of our basic human rights and freedoms. TheNational Center for Homeopathy website has released helpful guidelines and recommendations to assist us health consumers in registering comments to the FDA. Please go now to the federal website to voice your opinion and views about the need for continued homeopathic medicine here.